UnderstandingYourBill - Summit Utilities Inc.
At Summit Natural Gas, we understand that our bills can sometimes be confusing. 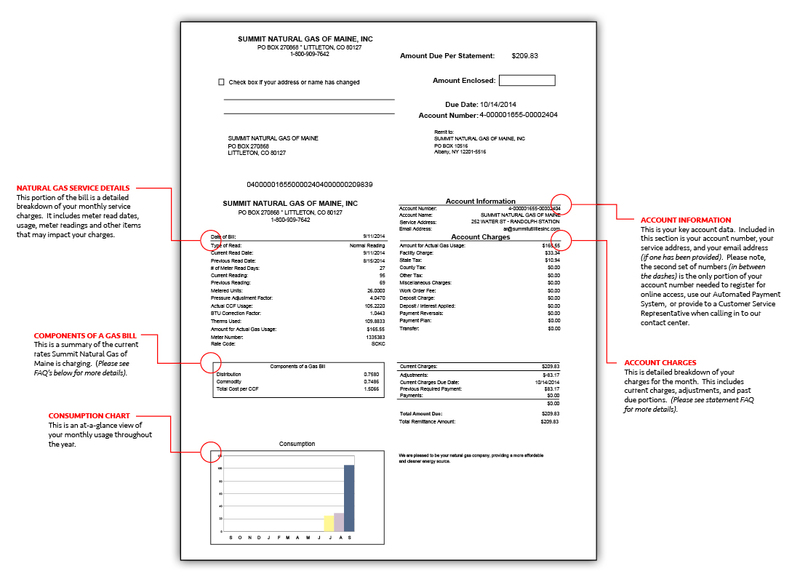 Below is a detailed explanation of your bill and the details included in it. If you have any questions regarding your bill please contact customer service at 1-800-909-7642.